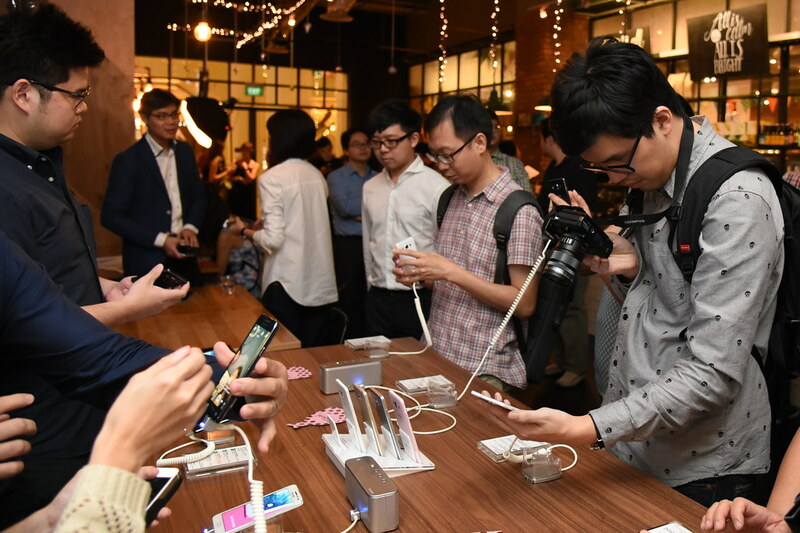 Samsung announced the launch of the GALAXY A Series in Singapore, a range of smartphones that empowers younger consumers to express themselves through a seamless social media experience. 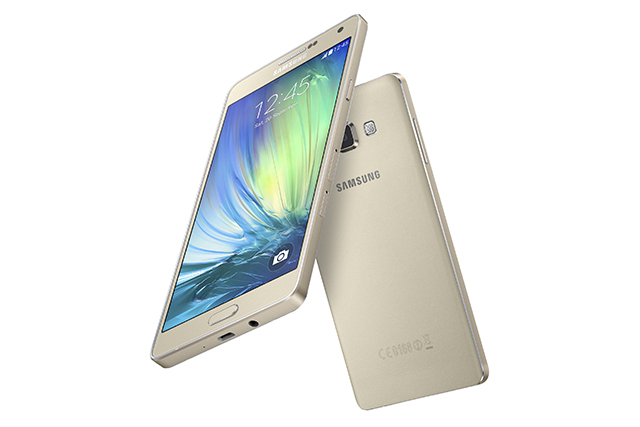 Samsung’s slimmest metal unibody designs in the market today. Advanced 5MP front-facing camera for taking vivid selfies. Brilliant Super AMOLED display and Adaptive Display technology for clearer images with deeper contrasts. Smart Selfie Features that make it possible for consumers to take a photograph using only voice command or even a simple wave of the hand. 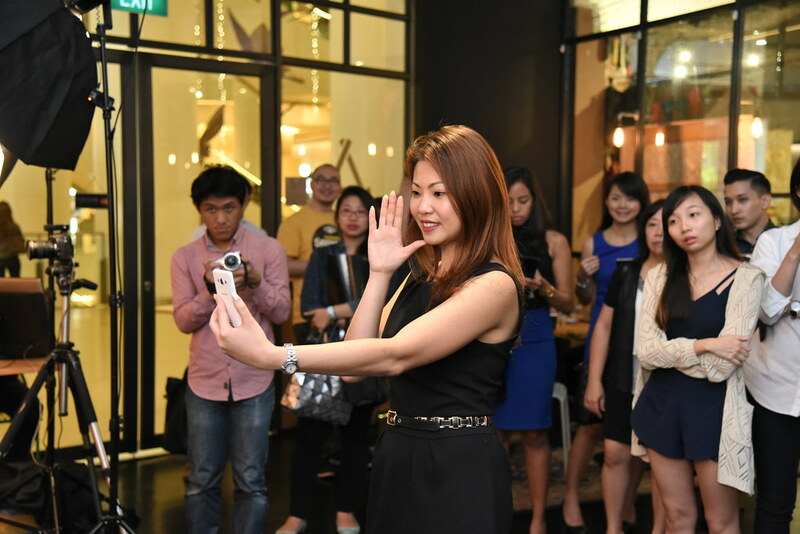 Stephanie Yep, Samsung Product Marketing Manager, giving a demo of the GALAXY A Series Smart Selfie feature. ​The GALAXY A7 4G, GALAXY A5 4G and GALAXY A3 4G are designed for those who want to express their unique style effortlessly. With these devices, Samsung continues its focus on creating on-trend smartphones equipped with one of Samsung’s slimmest metal unibody designs in the market today, with comfortable grip for ease of use. The range empowers users to choose a device which reflects their personal style and lifestyle needs, not just in terms of their unique features, but also their size and colour options. Sporting an advanced 5MP front-facing camera, taking a vivid selfie is now easier than ever before. Smart Selfies Features embedded in these devices make it possible for consumers to take a photograph using only a voice command or even a simple wave of the hand. Other innovative photo-taking features, such as the Wide Selfie, Palm Selfie, Animated GIF, Beauty Face, and Rear-Cam Selfie, let users capture attractive selfies in high resolution by automatically detecting and focusing on a person’s face. Users are also able to quickly and easily share photos or videos on their favourite social media channels with the devices’ fast network speed of LTE Category 4 standard. All devices are equipped with an extraordinary SUPER AMOLED display and Adaptive Display technology to deliver clearer images with deeper contrast and better viewing angles for more vivid, colourful content in virtually any environment, even under bright sunlight. Guests getting a hands on experience with the Samsung GALAXY A Series during the launch. The GALAXY A7 4G is equipped with a multicore processor combining two separate quad core processors, enabling users to quickly and easily perform data intensive tasks. Meanwhile, the GALAXY A5 4G and GALAXY A3 4G come with a 1.2 GHz Quad Core processor for seamless multi-tasking and a faster browsing experience. GALAXY A7 4G supports dual SIM with the chosen primary SIM supporting LTE Category 4 network and its secondary SIM supporting 2G network. This means that the secondary SIM is also capable of supporting LTE Category 4 network once it is chosen as the primary SIM. The GALAXY A7 4G also has a unique SIM slot design that allows the second SIM slot to double up as an external memory card slot supporting up to 128GB memory when SIM is not in use or inserted. This unique dual functionality gives users the flexibility to use their device according to their preference and lifestyle. In addition, the GALAXY A series models support both LTE TDD and FDD (Band 40/2.3Ghz) standards, compatible for usage in countries supporting LTE TDD network such as China, Australia, India, Europe and many more. 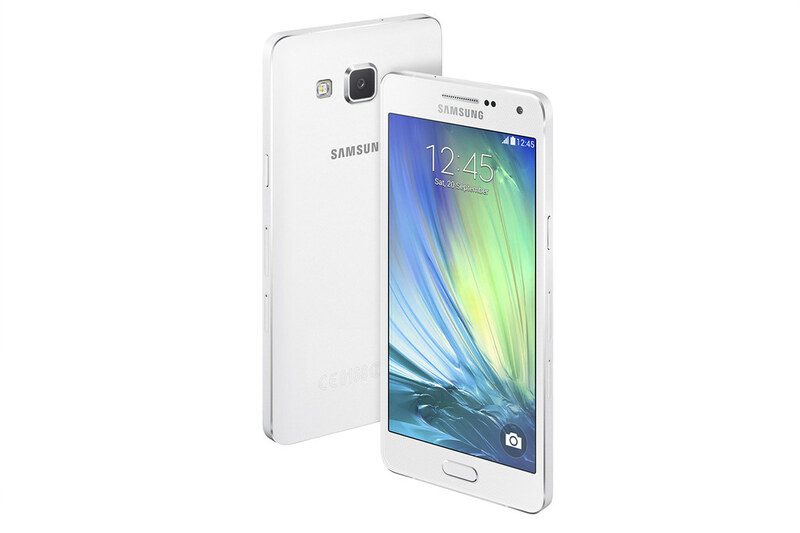 The GALAXY A7 4G will be available this quarter in Pearl White and Midnight Black. The GALAXY A5 4G will be available from January 16 in Pearl White and Midnight Black, and will retail at $598 without contract. The Platinum Silver, Champagne Gold and Soft Pink versions will be available in February. The GALAXY A3 4G is available in Platinum Silver, Champagne Gold, Pearl White and Midnight Black, and will retail at $448 without contract. Soft Pink will be available from February 2015. 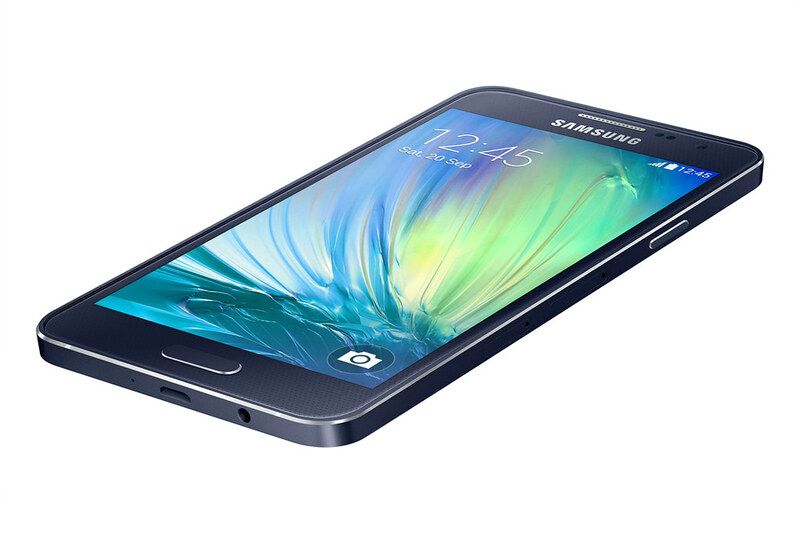 Consumers who purchase the GALAXY A3 4G will receive a free Samsung Level Box mini# in Silver worth $168. This promotion is available, while stocks last, at local Telecommunication Operators, major consumer electronics stores, authorised mobile retailers and Samsung Experience Stores.